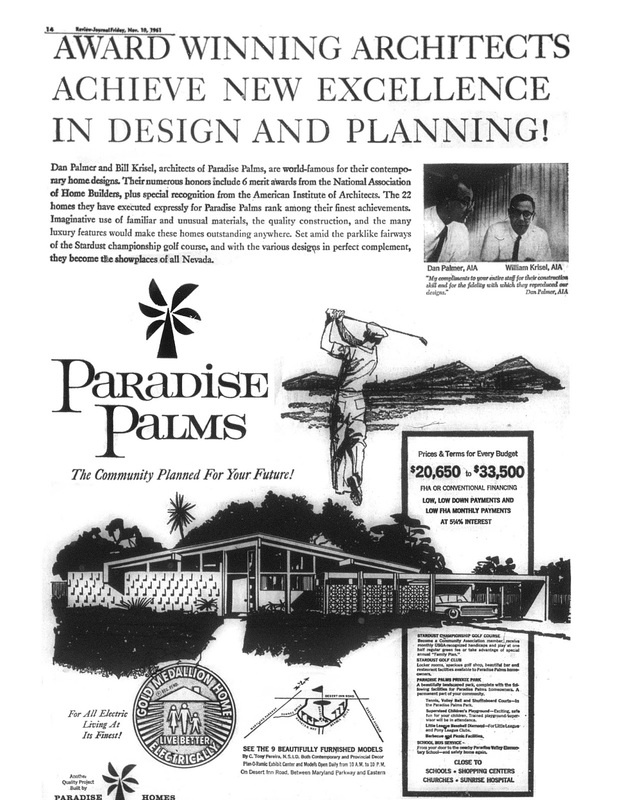 By November of 1961 the first unit of Paradise Palms was sold out. 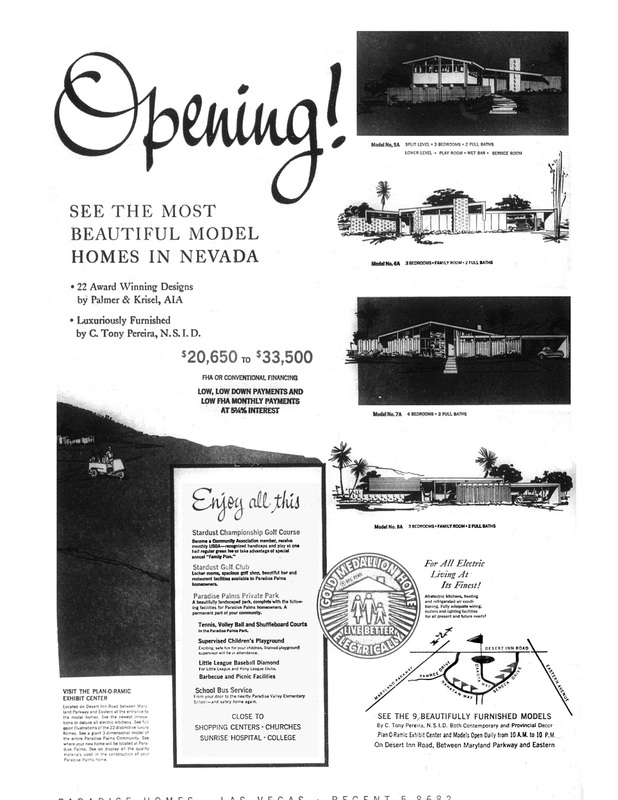 Models were moved to the Plan-O-Ramic Exhibit Center, and nine fully furnished homes were available for previewing on the north sides of Seneca Drive and Nahattan Way. 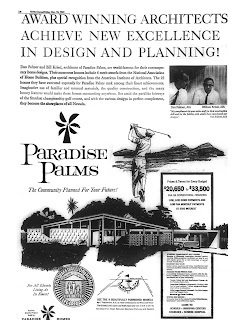 Featured at the exhibit center was a full-scale three-dimensional model of Paradise Palms, full color renderings of the 22 models available as well as a construction materials display. 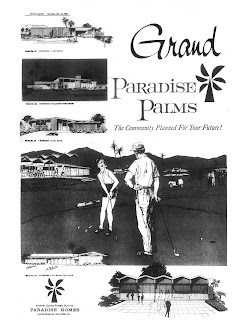 These Las Vegas Review-Journal ads from 1961 highlight Paradise Palms' most prominent architects, Dan Palmer and Bill Krisel, as well as the Stardust Golf Club & Championship Golf Course. 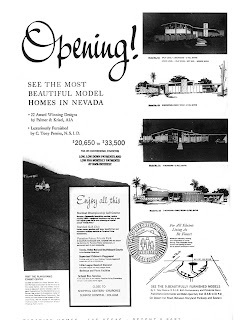 Ruby Thomas Elementary School hadn't been built yet at these ads promised safe bus delivery of children to the Paradise Valley Elementary School, now known as the UNLV Paradise Campus, located on the southeast corner of Tropicana Avenue and Paradise Road. The home prices of $20,650 to $33,500 translates $161,266 to $261,618 in 2013 dollars. 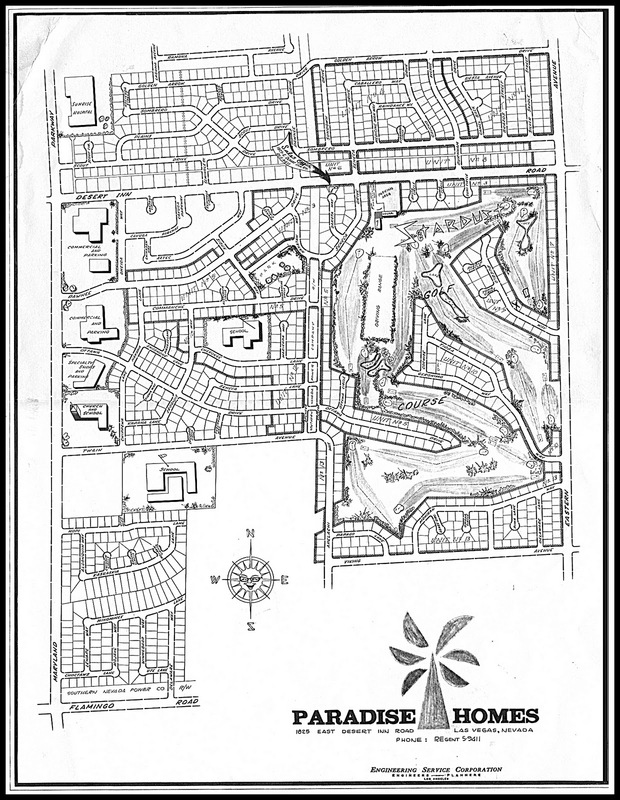 The last ad notes, "Set amid the park-like fairways of the Stardust Championship Golf Course, and with the various designs in perfect compliment, (the homes) become the showplaces of all Nevada."